I've been friends with Alison from Little Island Quilting for some time now. We've never met in person, but we have a long distance friendship on Instagram, and laugh at the same things. Three years ago Alison started collecting 12.5" quilted blocks and turning them into quilts for children in orphanages. You can read all about her initiative here on her blog - it's called Soy Amado Quilts. Alison has now donated more than 100 quilts to children in orphanages in Mexico and South Africa. You can see photos of the delighted children with their quilts her blog. Although I live on the other side of the world from Alison (she lives in Guernsey, Channel Islands, United Kingdom), I felt I should contribute some blocks to her initiative. 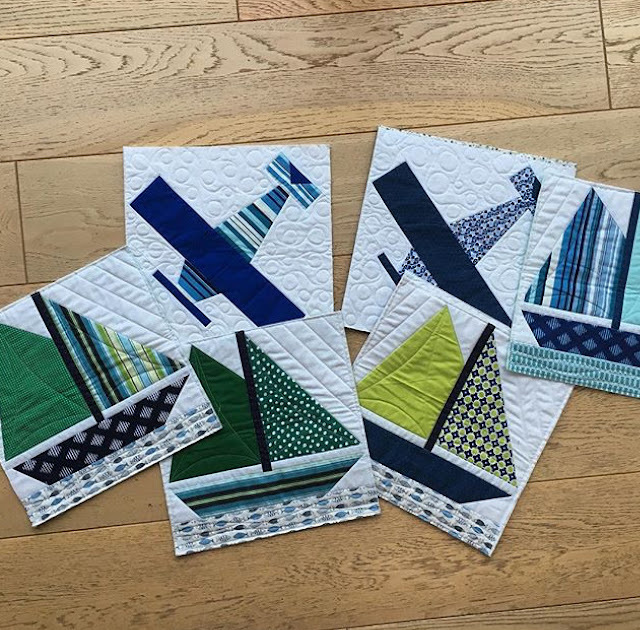 As soon as I said I was starting, another online friend, Carla from Granny Maud's Girl in Perth, Australia, said that she would make blocks to match mine and maybe we could make the whole 20 blocks required between us! 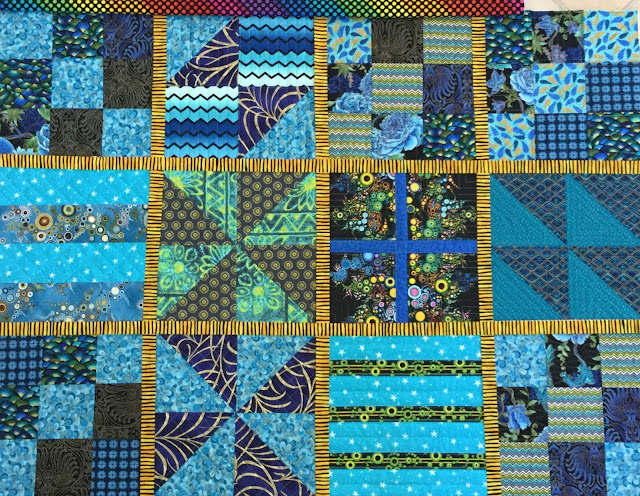 I have lots of blue fabrics, and suspected that Alison might receive more girl blocks than boy blocks, so we decided to make blocks for a boy quilt. Carla got all fancy and started designing foundation paper pieced yachts and planes! You can read about her blocks here and here on her blog. I kept mine simple and used up lots of fabrics I'd had lying around for some time. I decided to include some sashing before I sealed up my parcel. These blocks aren't sewn together - I was just testing out the sashing. I'll be sure to show you are finished quilt once Alison has put it all together. 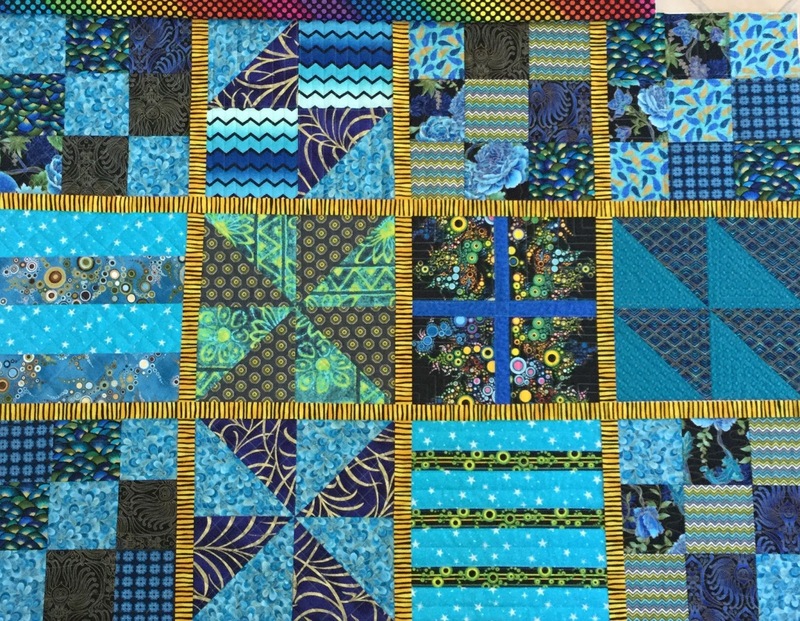 If you'd like to contribute some blocks to Soy Amado quilts, please get in touch with Alison via her blog here. She'd love to hear from you and always welcomes donations. 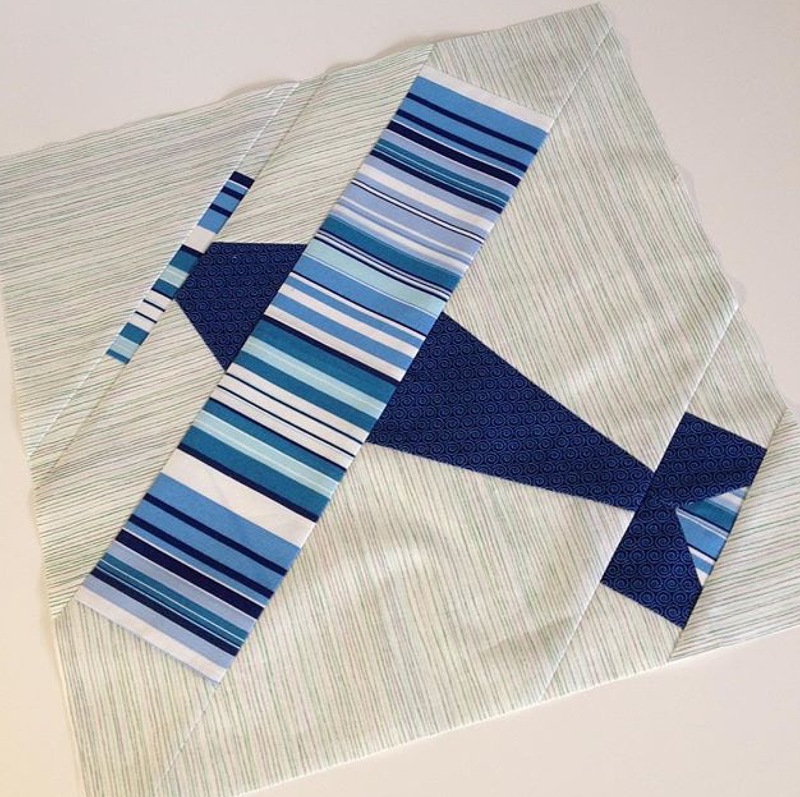 I love how you have collaborated with Carla to make enough blocks for a boy's quilt! I look forward to seeing it finished! Who knows, you might get a photo of the lucky recipient with his very special quilt from 'downunder'! I am glad I made boats as well as aeroplanes. So many of your lovely blue prints have a wave-like or watery feel to them. We are a great team, aren't we!